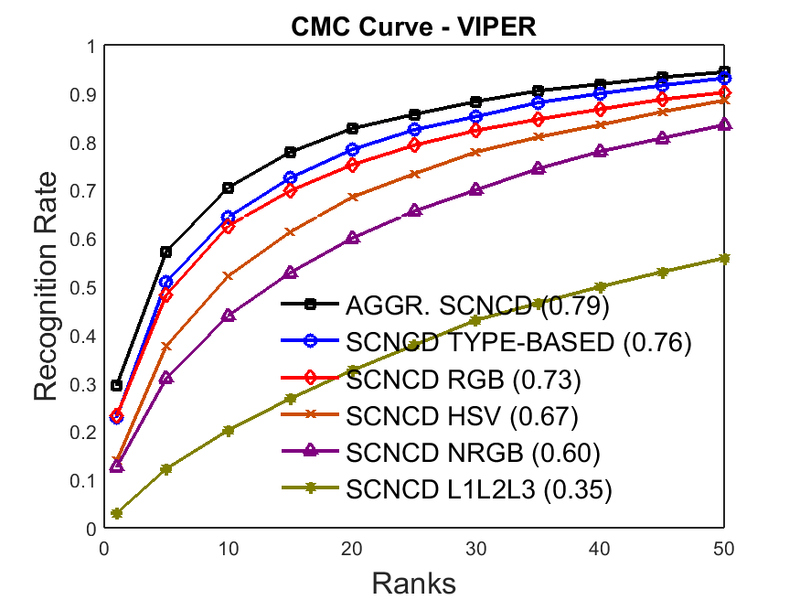 Source code used in the paper CBRA – Color-Based Ranking Aggregation for Person Re- Identification (ICIP 2015). 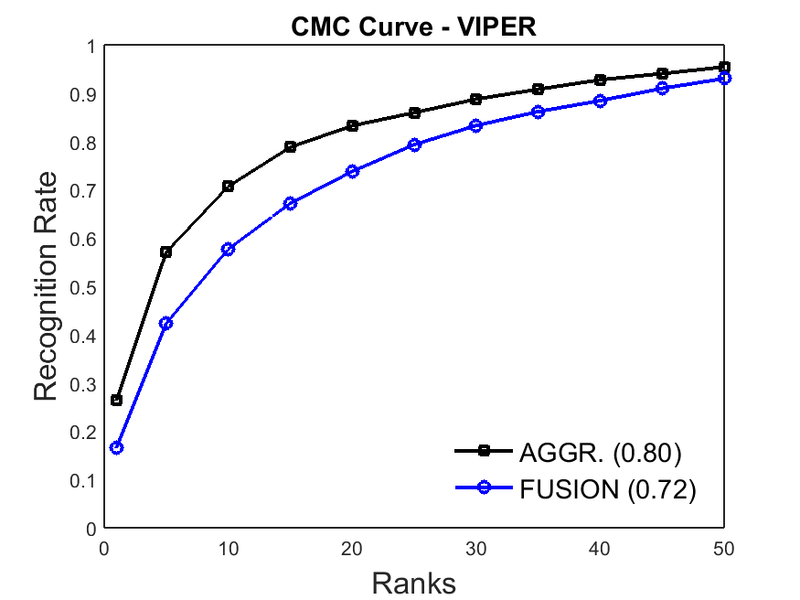 In this paper, we propose the use of rank aggregation to improve the results, in which we address the person re-identification problem using a Color-based Ranking Aggregation (CBRA) method that explores different feature representations to obtain complementary ranking lists and combine them using the Stuart ranking aggregation method. This code obtained the following results in the VIPeR and the PRID450S datasets. We used a common procedure in literature to achieve more stable results in VIPeR and PRID450S which consists in randomly partitioning the dataset in training and testing subsets of equal sizes. In the testing subset, images from one camera are considered as gallery and images from the other camera are considered as probe. The results are reported using Cumulated Matching Characteristic (CMC) curves showing the average of results obtained from 10 trials. Prates, R. F. de C.; Schwartz, W. R. (2015): CBRA: Color-Based Ranking Aggregation for Person Re-Identification. In: IEEE International Conference on Image Processing (ICIP), pp. 1-5, 2015.